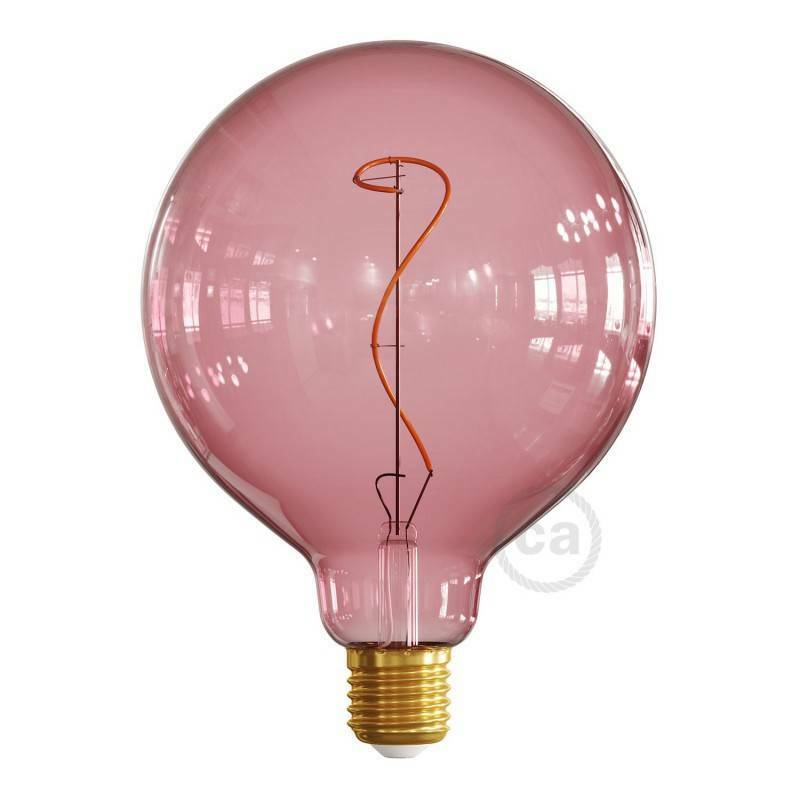 This is a pink G125 LED bulb, one of four new and very exciting colours. Part of a collection of various new shapes, we wanted to include the familiar round 12.5cm diameter as another option. Colours available are truly amazing and include berry red, like the one shown here and ocean blue. We also supply a gradient of the red and the blue we're calling Dream and one we call Dusk. Dusk blends the ocean blue at one end to a much darker shade of the same colour at the fitting end. The size of these artistic items, creates the effect of a large pendant light. The berry red colour delivers a beautiful warm glow to any room. 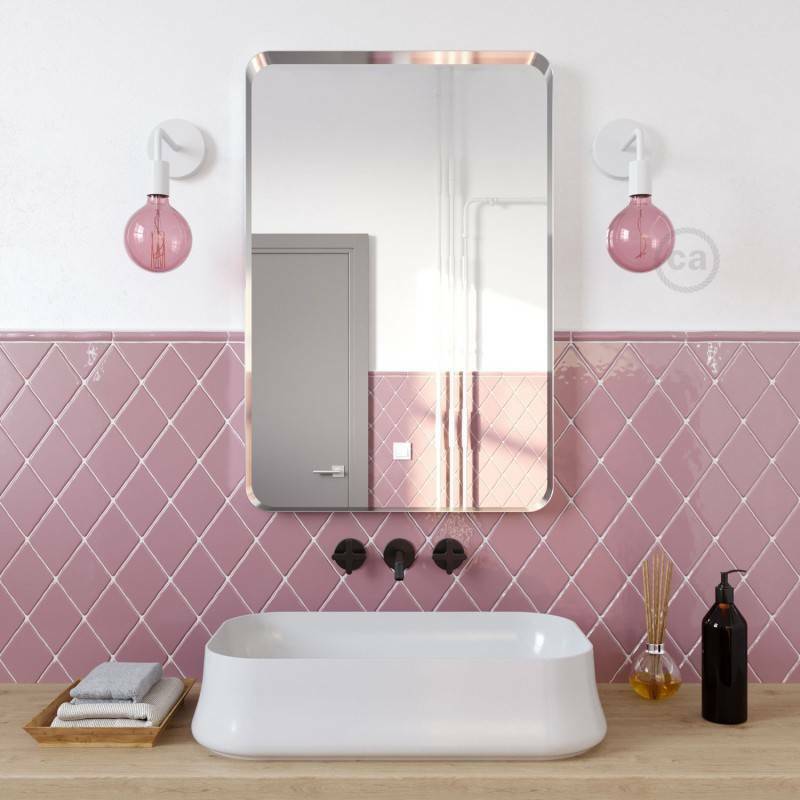 Suitable for pendant lighting, if you need other components to complete the look, we can help. 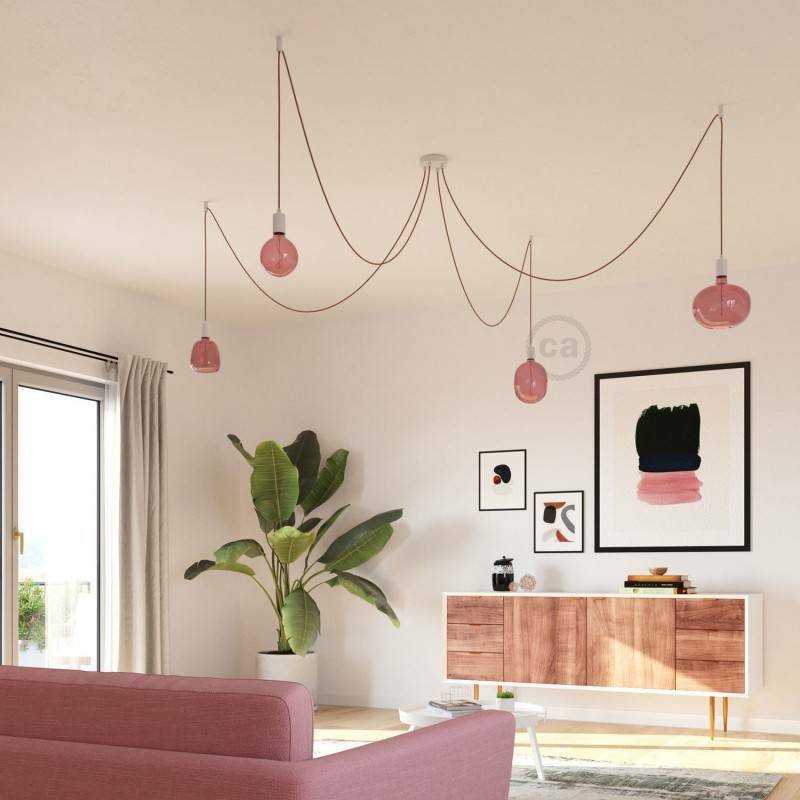 Creative-Cables offers one of the largest ranges of interesting and stylish ceiling roses and fabric cables of every colour. 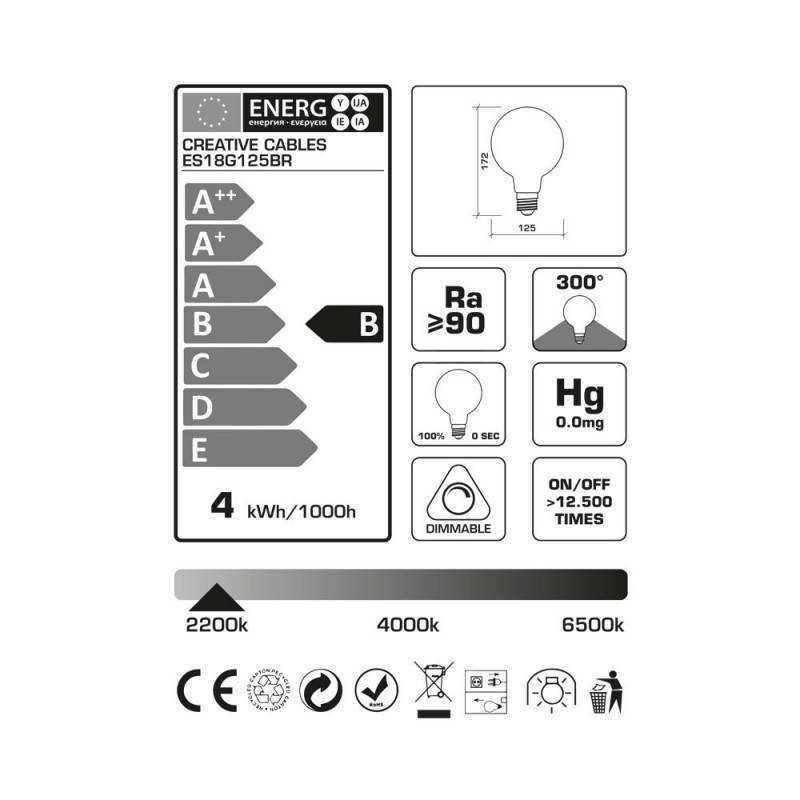 Warning: To dim LED bulbs we strongly recommend using the latest generation of universal dimmer available elsewhere on our website as either wall or inline options. For curved filament bulbs, TRIA or IGBT dimming is highly recommended. 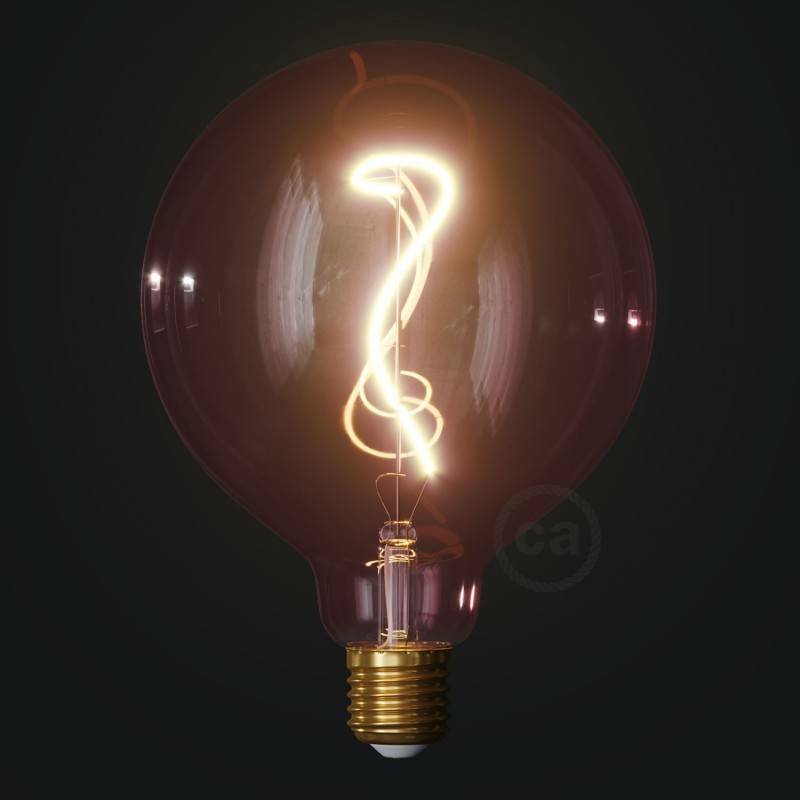 When choosing a dimmer please consider the maximum power rating and in order to avoid flicker and possible damage, please check the minimum power rating.